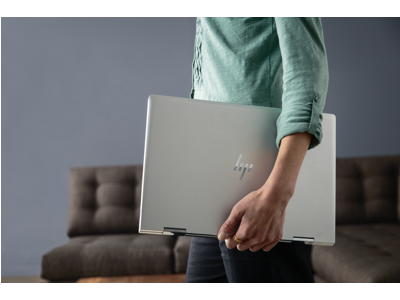 The road sometimes feels like it's your office, but this laptop has the speed and power you need to make sure you're always productive, even while on the go. The versatile design allows you to use it as a laptop or tablet, so you're always prepared for what the day brings. 15.6" display with full-HD 1920 x 1080 resolution for clear, sharp visuals. 360° hinge allows use in 4 different modes. 15.6" display with full-HD 1920 x 1080 resolution for clear, sharp visuals. Touch screen is optimized for Windows® Ink, so you can take notes, sketch and navigate content with ease. High-performance 8th Gen Intel Core i7 processor. Run multiple programs simultaneously. 256GB solid state drive holds your songs, photos, documents and other files. Solid state drives generally deliver a cooler computing environment, faster boot up times, lower energy usage and greater productivity than traditional hard disk drives. Includes 1 USB Type-C 3.1 port with sleep and charge and 2 USB 3.1 Gen 1 ports (1 with sleep and charge) for super-fast data transfers. Built-in HP Wide Vision FHD IR camera has an 88° wide-angle field of vision. Bang & Olufsen audio with dual HP speakers deliver an immersive experience. Island-style backlit keyboard with an integrated numeric pad for fast data entry. Stays powered for up to 11.5 hours. Battery life will vary depending on the product configuration, product model, applications loaded on the product, power management setting of the product, and the product features used by the customer. As with all batteries, the maximum capacity of this battery will decrease with time and usage. With four modes designed to work with Windows Ink2, take handwritten notes, sketch ideas, and even navigate your screen in a whole new way-all on a high performance laptop. Equipped with the latest Quad-Core Intel® Core™ i7 processor, Intel® UHD integrated graphic, 8 GB RAM, and long-lasting battery life3, be prepared to transcend what you can accomplish on a laptop. Experience mesmerizing picture quality on an ultra-bright, micro-edge FHD touch display4 1080p, complete with dual HP speakers and audio by Bang & Olufsen. 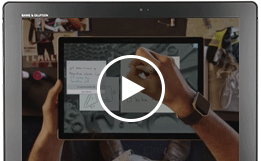 Naturally drive content, ideas, and drawings forward with digital pen-based computing and Windows Ink. Seamlessly jot down notes in Office, or draw on a collection of apps. With two microphones and advanced noise reduction software, you'll always sound crystal clear when you video chat or record. 2 Some features including voice supported Cortana, inking, and Continuum require more advanced hardware. See www.windows.com. Apps sold separately. 4 Full High Definition (FHD) content is required to view FHD images. 6 Based on HP internal testing using CrystalDiskMark benchmarking software. Performance is sequentially faster (read only) compared to traditional 5,400 rpm HDD. 7 Multi-core is designed to improve performance of certain software products. Not all customers or software applications will necessarily benefit from use of this technology. Performance and clock frequency will vary depending on application workload and your hardware and software configurations. Intel’s numbering is not a measurement of higher performance. Intel, Pentium, Intel Core, Celeron, Intel logo and the Intel Inside logo are trademarks of Intel Corporation in the U.S. and other countries. 8 Intel® Turbo Boost performance varies depending on hardware, software and overall system configuration. See http://www.intel.com/technology/turboboost/ for more information.